All NE4 OF FOL DESC PROP N2 S homes currently listed for sale in Scottsdale as of 04/25/2019 are shown below. You can change the search criteria at any time by pressing the 'Change Search' button below. "Ready for your family AND your horses. 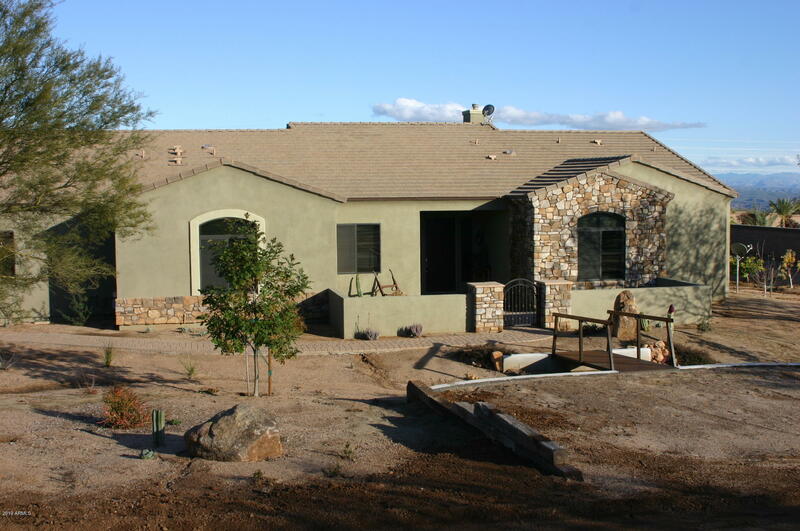 Located adjacent to the Tonto National Forest, horse access less than 100 yards from your gate. This beautiful home features a huge great room, four bedrooms, three baths, plus an attached one bedroom full casita. Travertine floors, granite counters, vast master suite, and a large covered patio for enjoying the views. The property has panoramic vistas including Four Peaks and the Superstitions. The Sonoran preserve is just a mile west. There is a custom d"